​Why you should choose Feynlab? FEYNLAB™ is the world leader in nanotechnology development and manufacturing for automotive, marine, and aerospace applications. Our team of scientists trained at some of the world’s most prestigious institutions, including Oxford University. FEYNLAB pioneered nano resin systems and continues to push the boundaries of this technology. One of our founders, John Suerth, first coined the term “Ceramic Coating” over 15 years ago, and no one better understands this topic. Nanotechnology is a rapidly developing field, with many great discoveries yet to be made. FEYNLAB will continue to push the science to benefit our customers. ​Instead of relying on the traditional backbone of Silicon Dioxide (Si02) alone, we embrace a more complex approach combining Si02, Si3N4 (Silicon Nitride), and SiC (Silicon Carbide) to create a product line of coatings to solve all vehicle owner preferences and needs. This has lead to an exceptionally thick coating with extreme durability, strong chemical resistance, intense UV & heat protection, a high gloss finish, and an impressive hydrophobic surface, making vehicle maintenance super fast and simple. In an effort to narrow down which coating would be best to utilize for our business. We gathered all of the familiar names within the coating industry. And went to a laboratory to conduct thorough testing. We used a weathering machine, PH scale test, Temperature drop test, and drag test. Only one company exceeded the company's stated performance. Upon further testing with even more coatings including professional grade coatings, Feynlab along with only one other coating exceeded stated performance. Now using this information we contacted different coating companies to ask about scientific backup to support claims. Feynlab was the only one who put us in touch with their lead chemist, and we had the opportunity to discuss in depth chemical composition and chemical performance of the brand. At this point we felt confident enough to go exclusively with the Feynlab brand. Now with the opportunity as a Tier 1 installer we were able to test their self healing lineup. We were equally impressed with the performance and durability of these coatings. Which also surpassed the company's stated performance. There is also nothing on the market at this time with similar performance to their self healing coatings. 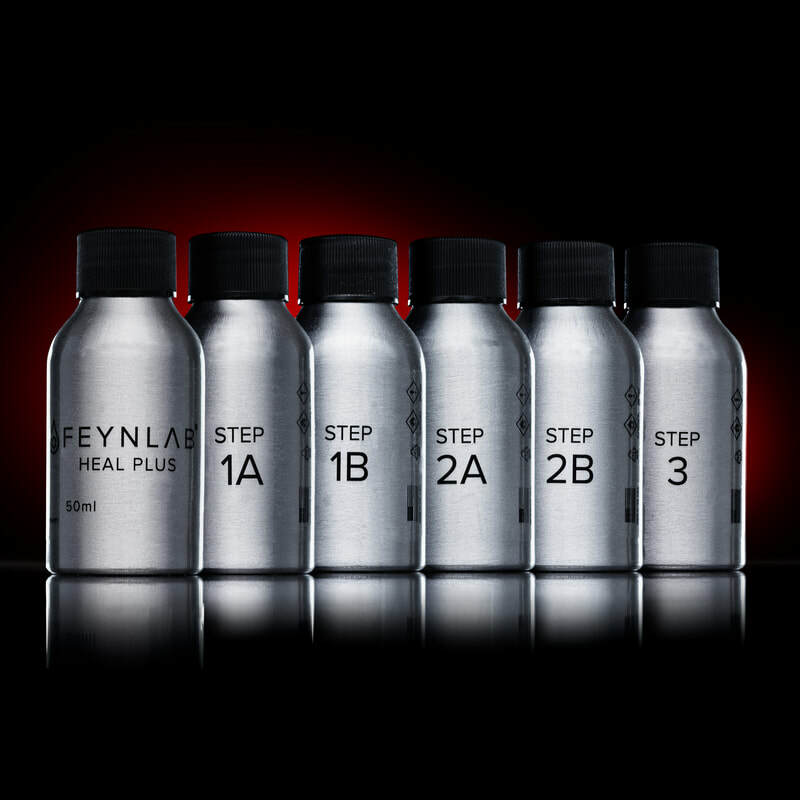 Feynlab is also the only company that has a full lineup of synergistic products. Being exclusive with a company ensures symbiotic interactions from the initial wash, to coating preparation, to maintaining a coating for its life term. CERAMIC LITE provides a coated vehicle with an impressive combination of ultra-slickness, durability, gloss, and hydrophobic properties. 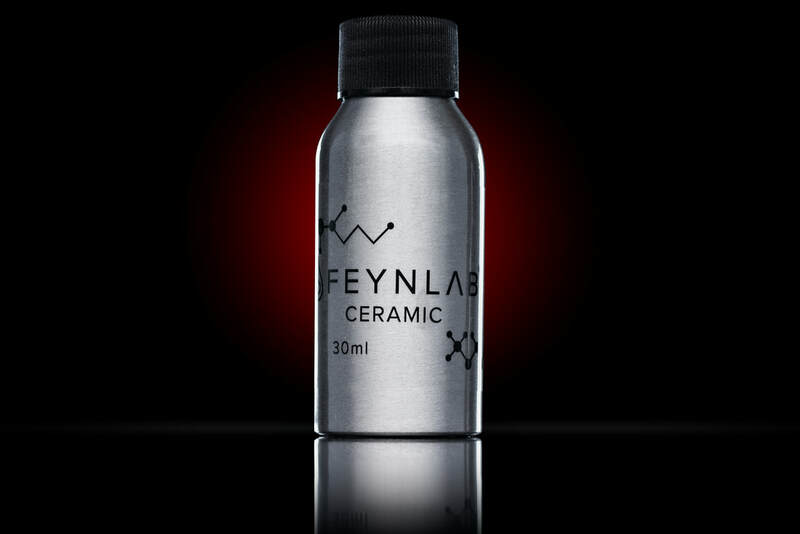 FEYNLAB CERAMIC LITE is the legacy technology of our chief FEYNLAB scientist. He created the first ceramic coating over a decade ago. This coating has been continually improved and is now available to the market exclusively as FEYNLAB CERAMIC LITE. ​FEYNLAB CERAMIC is engineered for extreme durability & protection for painted automotive surfaces. As an ultra-high solids coating CERAMIC adds intense gloss, U.V. & heat protection, and chemical resistance. FEYNLAB CERAMIC PLUS is the perfect marriage between our Self Healing technology, and our ultra-durable Ceramic technology. 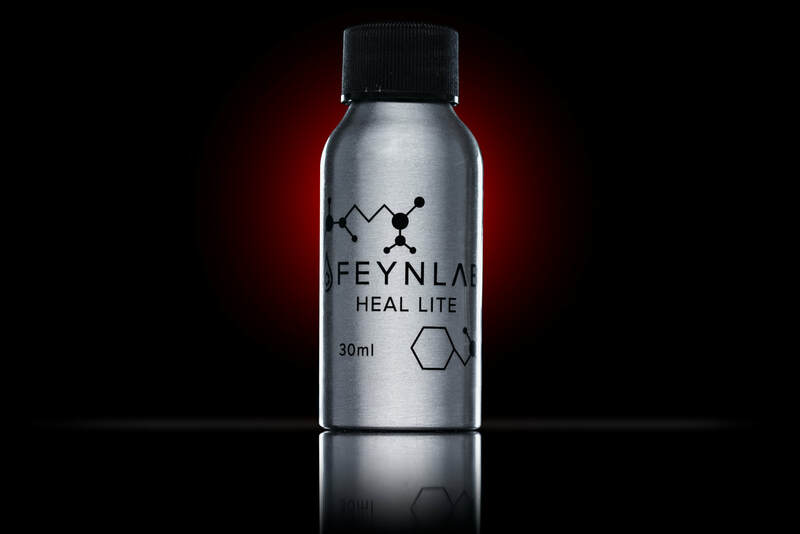 HEAL LITE is a single-step ultra durable coating with excellent UV protection, extreme hydrophobic properties, and contains up to 60% of the healing capability of FEYNLAB HEAL PLUS. FEYNLAB HEAL PLUS is by far the thickest coating (when IR cured) currently offered on the market, measuring up to 10 microns (with the mean thickness of ~5 microns) with a single application and up to 15 microns when layered appropriately. * All coatings must be maintained professionally at least once per year. Twice is recommended. FEYNLAB TOPCOAT is far and away the slickest and most hydrophobic coating in the Feynlab family. Its sole purpose is to add great water sheeting and self cleaning properties to any of our ceramic coatings. In addition, the super low free surface energy of TOPCOAT causes the surface to feel silky smooth to the touch. 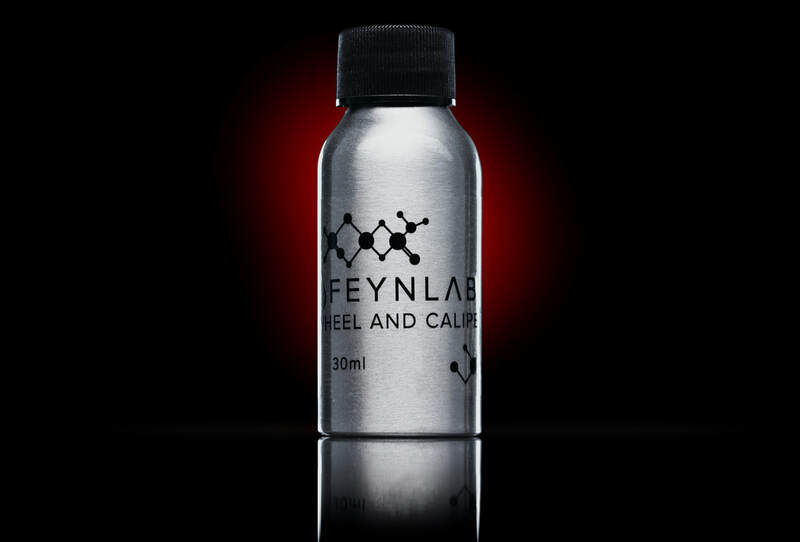 FEYNLAB CERAMIC – WHEEL & CALIPER was developed to protect from harsh conditions of vehicle wheels and turn wheel cleaning into easy mode!. This THICK & Durable ceramic nano coating invites extreme conditions because it was designed for high temperatures and a constant barrage of intense contamination. FEYNLAB TIRE COATING is a semi-permanent tire protection and shine, meant to keep your tires looking like they were dressed for over a year. You can adjust the gloss level of FEYNLAB TIRE COATING with multiple layers. One layer will give an “undressed” clean look. Two layers will give a semi-gloss “dressed” look that most people will desire. Three layers adds significant gloss to the tires. FEYNLAB TEXTILE is a silica/fluro based coating engineered for extreme durability and hydrophobicity. Textile is versatile and designed for interior cloth seats, carpets, and convertible fabric tops. Once treated with Textile, surfaces are safeguarded against accidental spills and staining and are a breeze to clean. ​FEYNLAB PPF & VINYL CERAMIC is a coating specifically designed to protect the porous surface of Vinyl or Self Healing Paint Protection Films (PPF). Originally engineered for water spot protection, the high surface tension (hydrophobic properties) of Vinyl & PPF helps keep surfaces cleaner for longer. Additionally, Vinyl & PPF enhances the gloss to standard PPF while allowing matte Vinyl and PPF to retain their dulled appearance. 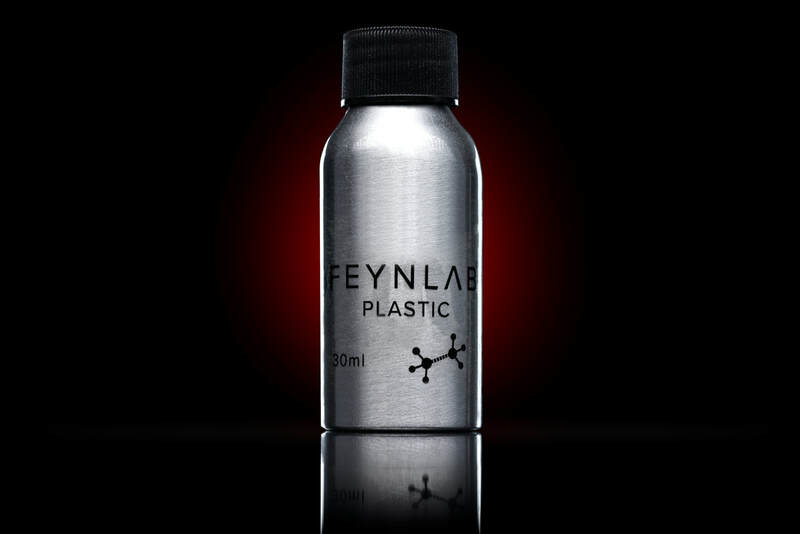 FEYNLAB Plastic reformulates the faded dull oxidized surface into a deep rich looking finish that also grants a new chemical structure which protects from UV rays and future fading. 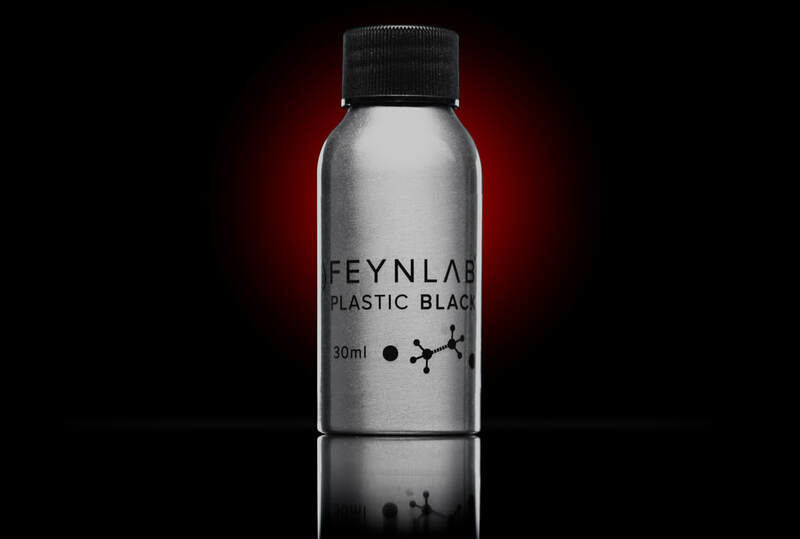 FEYNLAB Plastic Black also reformulates the original plastic substrate in order to restore and protect it. It also incorporates black pigment into the FEYNLAB Plastic formula for restoration of extremely faded trim. Those trims type that starts to change color, usually a grayish tone from extensive UV exposure. Additionally Plastic Black has a slightly glossier finish than Plastic. GlassParency is chemically engineered to react to silica within the glass, creating a bond unmatched by the competition. It’s product attributes go beyond just a water repellency, making it ideal for any silica-based surface, in any climate or environment. In rainy, tropical or four season climate, you will experience the unmatched hydrophobic properties of GlassParency during rain storms. Water micro-beads and sheets off while you are driving, making it a safer experience for both you and your passengers. Night glare will also be significantly reduced, improving your visibility and reaction time. GlassParency will make your glass easier to clean and maintain, keeping dirt and dust build up from caking on your vehicles glass. By sealing the glass, hard mineral water spots will be easier to remove and staining will be less likely to occur.